Please use our online form to communicate your interest in joining the Better Breathers Club - Indianapolis, IN. 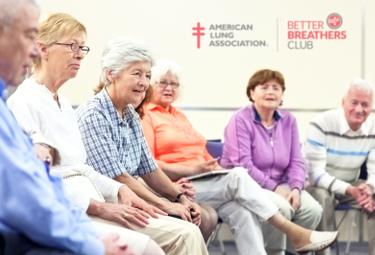 This Better Breathers Club will held on 2nd Tuesday of every other month at the ALA- Airways Clinic Research Center, St. Vincent Indianapolis in Indianapolis. All Club sessions will run from 12 PM to 1PM.